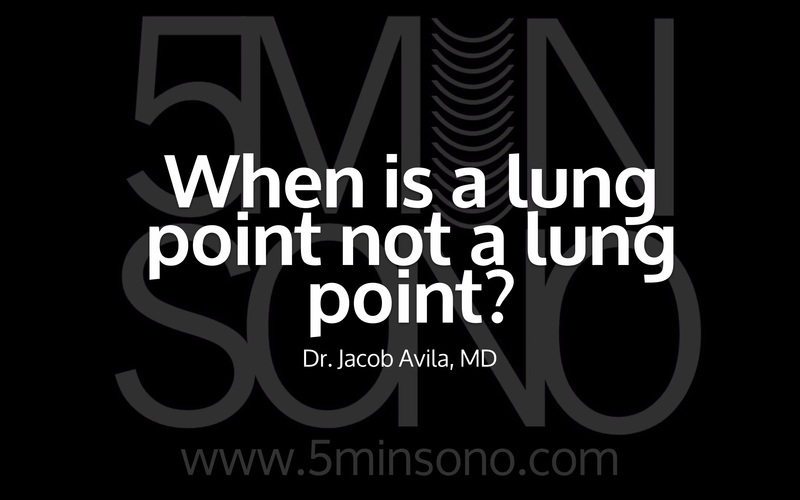 When is a Lung Point not a Lung Point? I’ve been struggling with something recently. When I first learned about the lung point, I was ecstatic! A finding that is 100% specific for a pneumothorax? Fantastic! Unfortunately, I think it’s too good to be true. The two studies used to describe the specificity of a lung point were both published by the same ICU sonographer. One was a “prospective” study where they found patients who had a known pneumothorax, then went back and ultrasounded them looking for a lung point. The other was a retrospective review of patients with occult pneumothorax seen on CT and US that were missed on chest x-ray. Should we be using ultrasound to place subclavian central lines?